Fighting for families: San Diego County recently rolled out a powerful new tool to help families find quality residential care for the elderly. It’s called Choose Well. It’s an online search tool and ratings system designed to guide families to the most appropriate assisted living facility for their loved one. I first proposed the site in 2014. About 120 facilities have volunteered to fully participate in it, with more expected to be added in coming months. When you stop by a local assisted living home for the elderly, look for the new Choose Well logo on display. If you don’t see it, ask the facility to join it! Check out the site at choosewell.org. Danger data: Want to get a better fix on any potential hazards at your home and workplace? A new county website, found at readysandiego.org, allows you to input any local address to learn about possible hazards, like whether you live in a high-risk wildfire or earthquake zone. The debut of the Know Your Hazards search tool couldn’t be better as we move into peak wildfire season. A groundbreaking for a new Boys & Girls Club in La Mesa. Basketball legend and fellow Helix High alum Bill Walton was among those at the event. Bill has always been a great booster of youth programs. A meeting of Lions Club leaders in East County. Thanks, Lions, for all you do for our community. Special gatherings held by the Lakeside Chamber of Commerce, Grossmont-Mt. Helix Improvement Association and many other community groups! 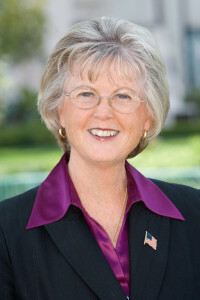 —Dianne Jacob is San Diego County Supervisor for District 2. For more District 2 news, go to diannejacob.com or follow her on Facebook and Twitter. For assistance with a county issue, please call her office at 619-531-5522 or email dianne.jacob@sdcounty.ca.gov.